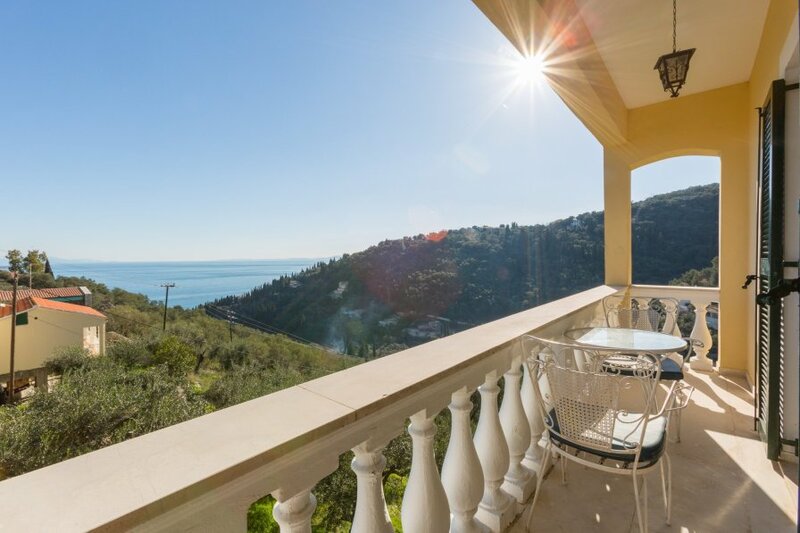 Bakers House Upper is located in Loustri, Corfu. This vacation rental property is air-conditioned and sleeps up to 6 people (4 adults and 2 children) with 2 bedrooms, 1 bathroom . Bakers House Upper is located in Loustri, Corfu. This vacation rental property is air-conditioned and sleeps up to 6 people (4 adults and 2 children) with 2 bedrooms, 1 bathroom . The Villa is walking distance to the beach. The upper house has two bedrooms (both air conditioned), one family bathroom, a sitting room and kitchen. The Baker's house sleeps 4 adults with the option of 2 children sleeping in the lounge on sofa beds.